A set of the Gulvase by Holmegaard. In yellow, blue and red, each with white inner casing. Designed by Otto Brauer in 1962, based on a 1958 design by Per Lutken. 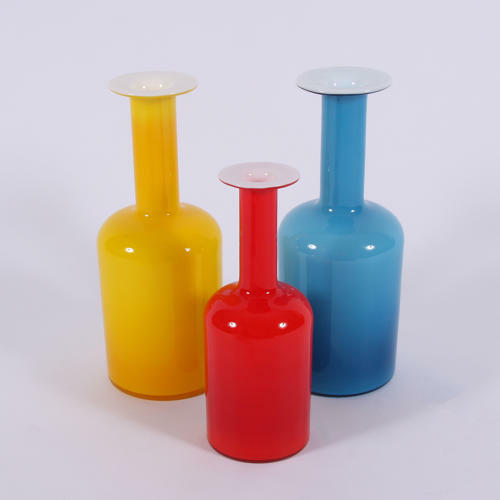 The tallest vase measures height 30.5cm, width 12cm, depth 12cm and the smallest vase measures height 25cm, width 9.5cm, depth 9.5cm.